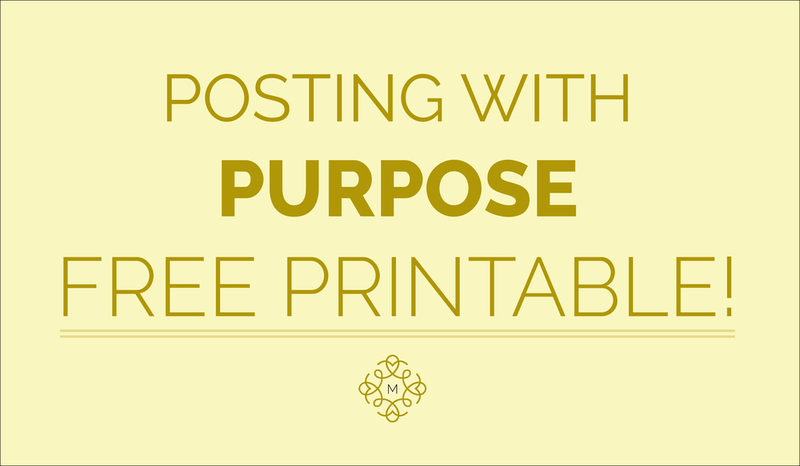 Posting with Purpose: Free Social Media Printable! Happy weekend, friends! As this is the sixth (and final!) week of the Posting with Purpose series, I have created a free social media printable just for you! In combination of the strategies outlined over the last five weeks, this printable will help you be accountable when it comes to posting to your social media accounts. Use appropriate hashtags related to that specific post, your industry and your company. Remaining consistent with your branding is extra important in this step!